Introduce your child to the magical energy of music, dance, movement and sport. 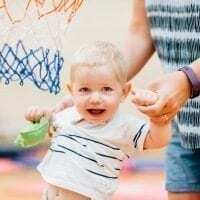 The City of Joondalup Leisure Centres Craigie and Duncraig host a range of activities for babies during the school terms, including toddler soccer, music and movement, kindy gym and toddler bop. Classes focus on coordination and movement and are delivered in an interactive, colourful and fun environment. Parental participation is required. Is your child the next Tim Cahill, Laura Geitz or Patty Mills? 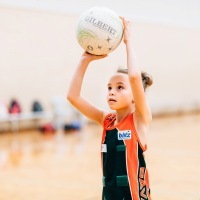 The City of Joondalup Leisure Centre – Craigie runs specialist soccer, netball and basketball coaching sessions during the school terms. Classes focus on skill development, technique correction and game play in a fun and safe environment. Swimming is one of the most important life skills that anyone can learn. 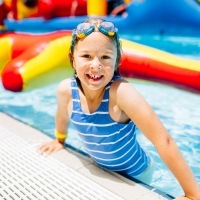 At the City of Joondalup Leisure Centre – Craigie, we aim to teach swimming lessons in a fun and safe environment that promotes skill development. Classes are available for babies from six months of age, children and adults and feature small classes for individualised instruction, experienced and qualified teachers and lessons in warm water. Whether you’re looking to start a healthier lifestyle for yourself or your family, or you’re already living life to the full there is plenty to enjoy at the City of Joondalup Leisure Centre – Craigie. Experience the energy of a group fitness class, increase your strength, mobility and power in the fully supervised gym or enjoy the Perth sun in the outdoor 50 metre pool. You can also take a break from the kid’s and relax and unwind in the spa lounge. 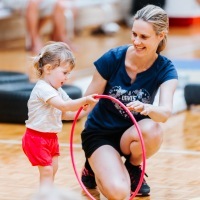 Flexible and affordable membership options and short term fitness courses are available, and you can keep fit knowing your children are well cared for and happy in the Leisure Centre crèche.